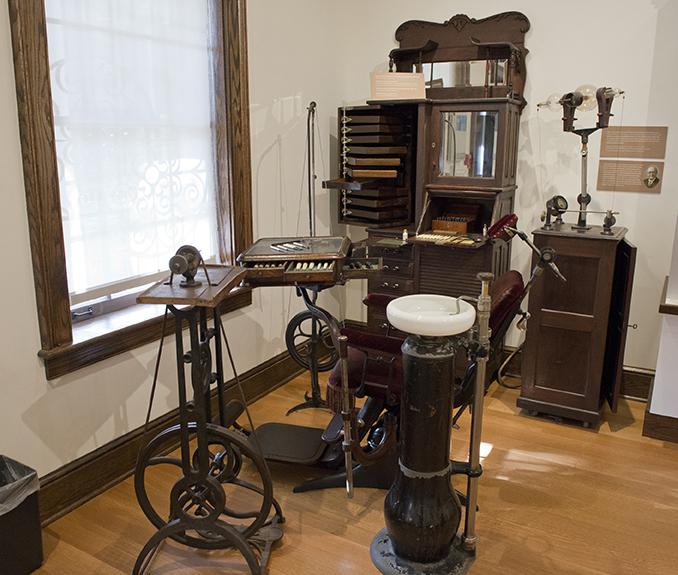 Located in the historical heart of the Medical University of South Carolina campus, the Macaulay Museum of Dental History was established in 1975 by Dr. Neill W. Macaulay for whom the museum is named. 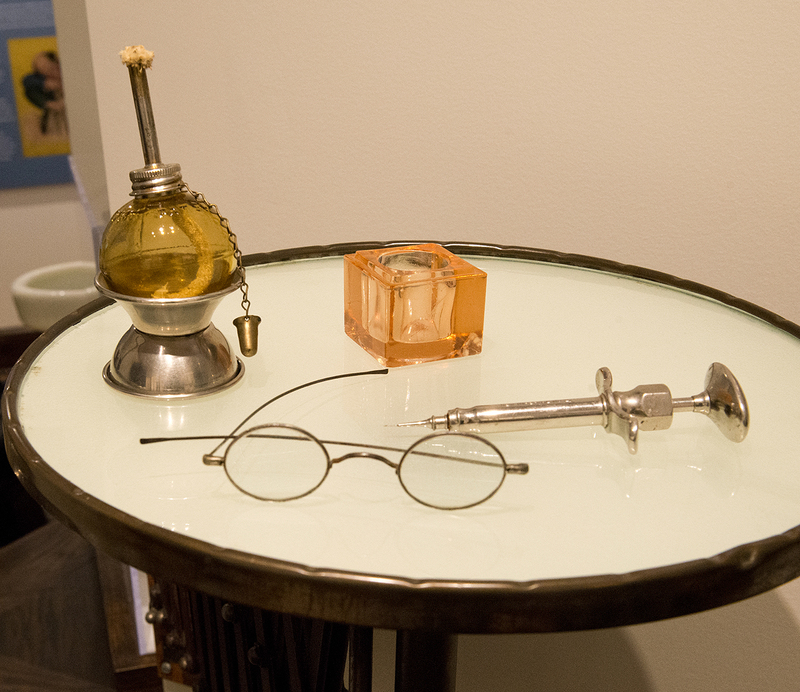 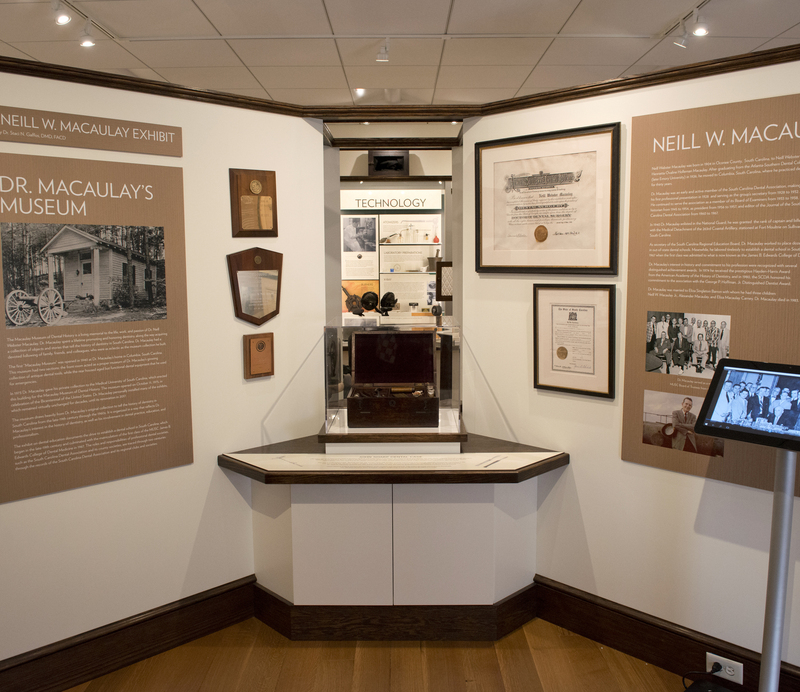 Dr. Macaulay was an avid historian of dental practice and during his lifetime amassed a large collection of dental memorabilia. 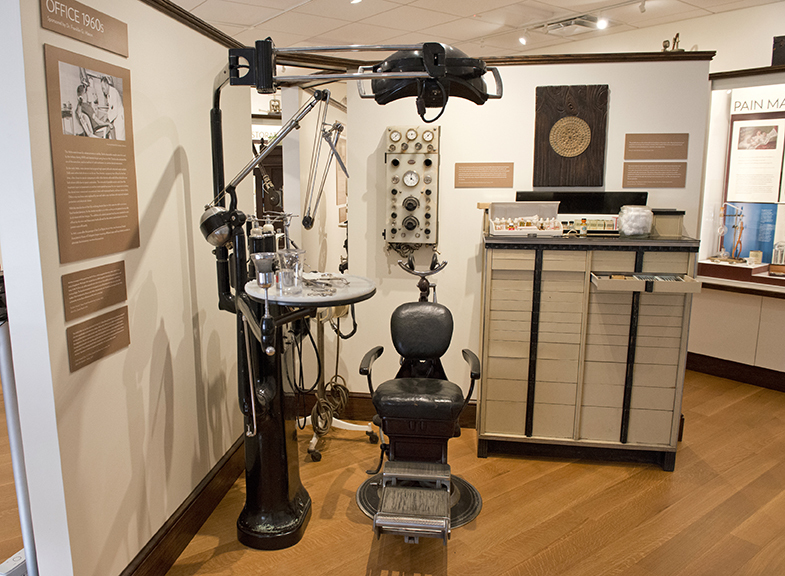 A finer, more comprehensive collection of dental artifacts does not exist anywhere in South Carolina. 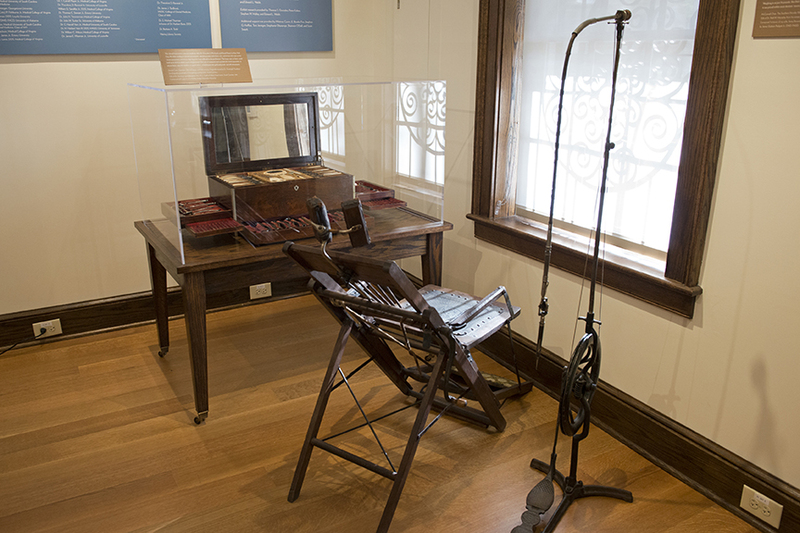 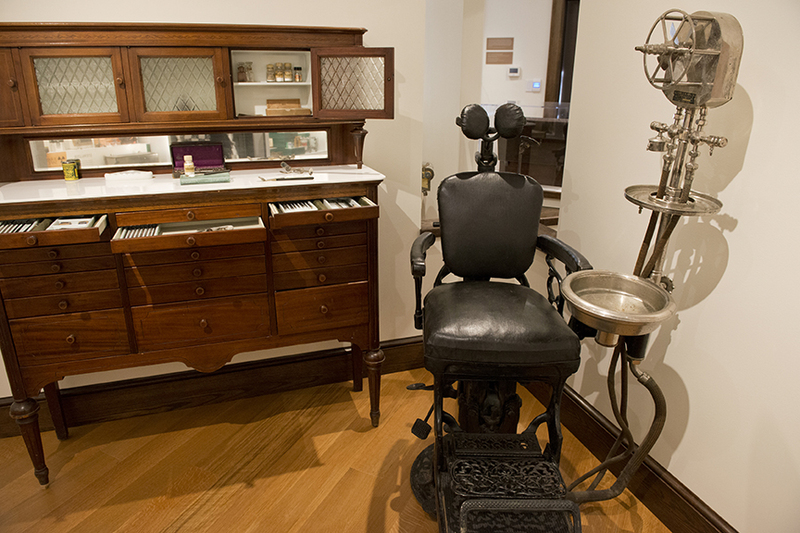 The museum houses an impressive collection of dental memorabilia, including historical tools and instruments, a 19th Century dental-office display, a collection of dental chairs and a traveling dentist's chest from the Civil War era. 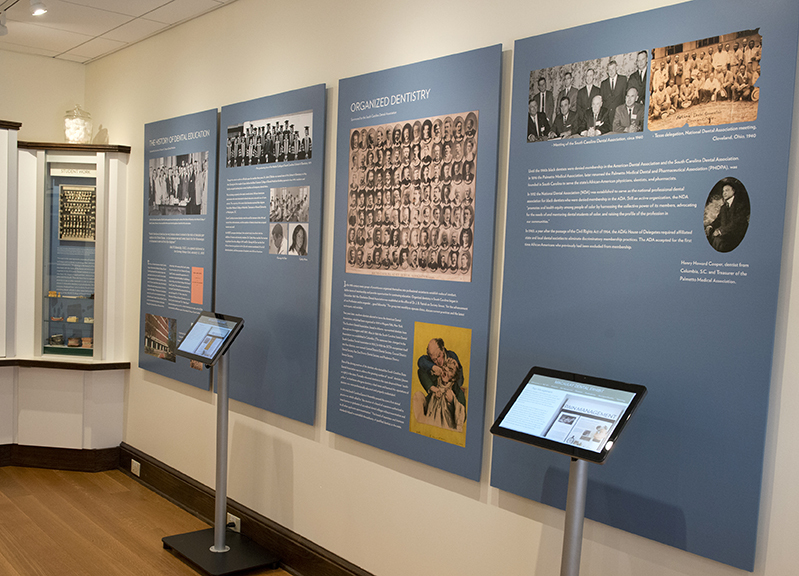 The museum reopened October 12, 2017 following a four year renovation campaign. 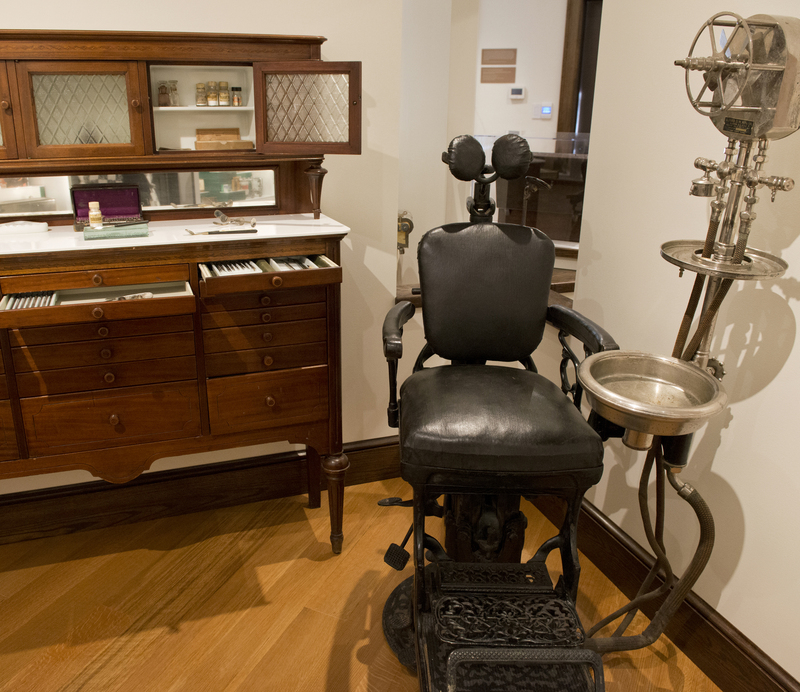 The renovated space showcases newly designed exhibits and freshly conserved dental historical collections. 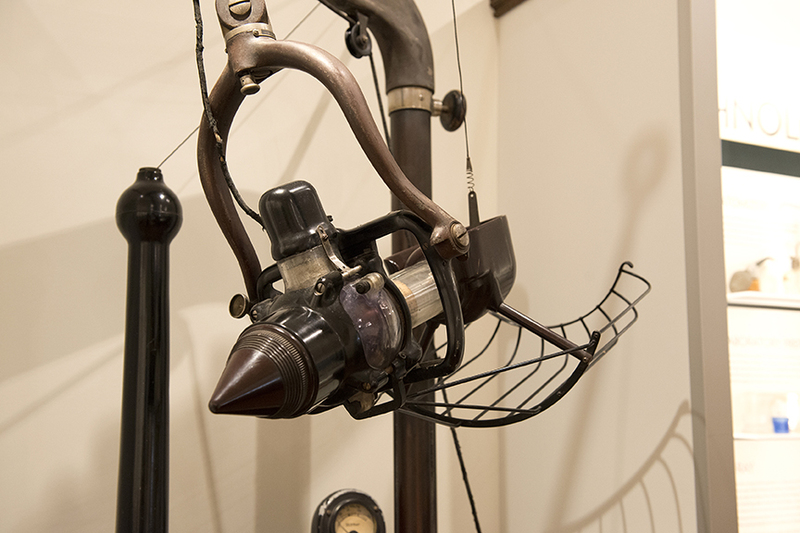 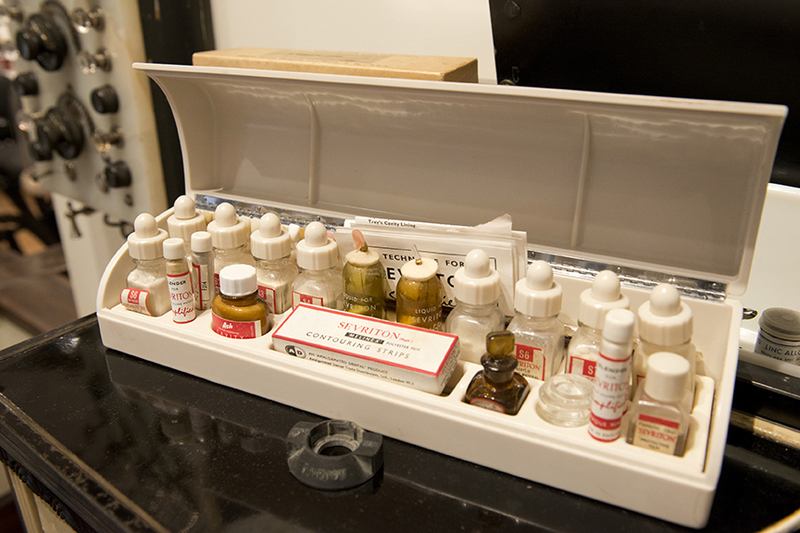 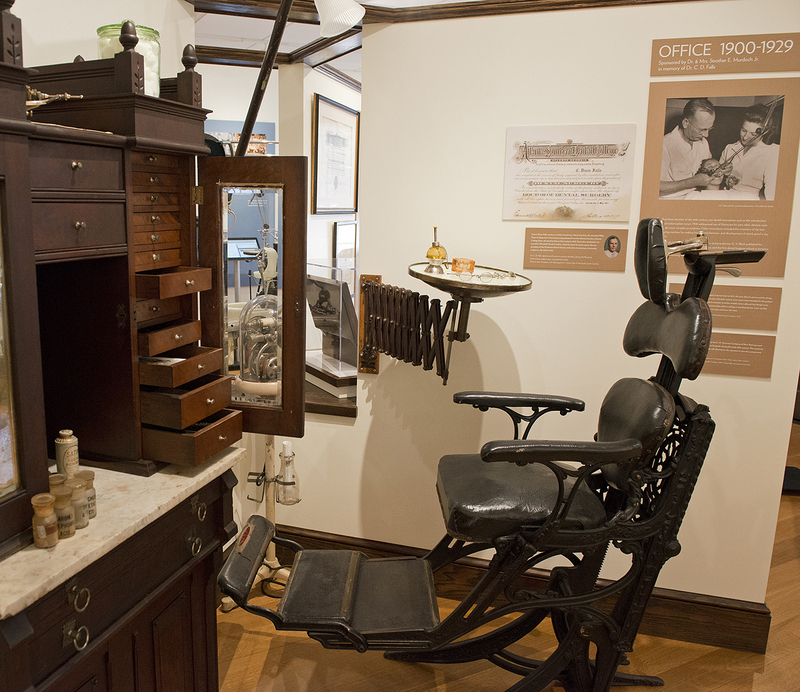 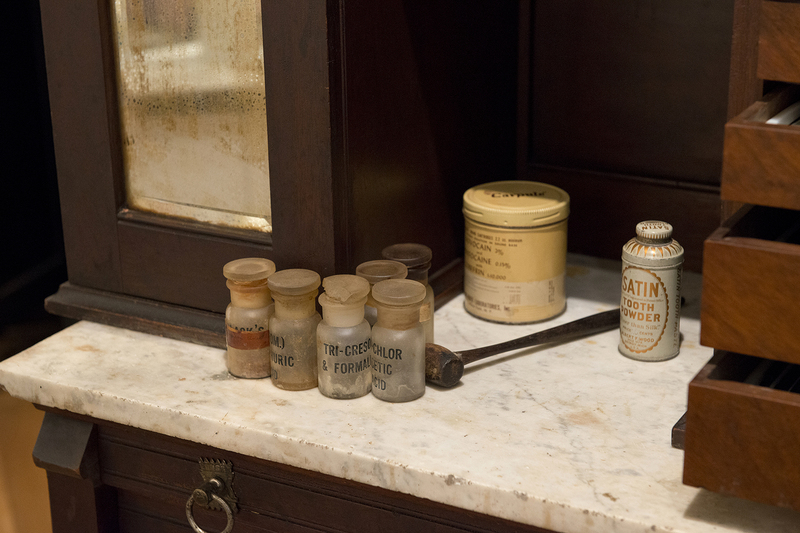 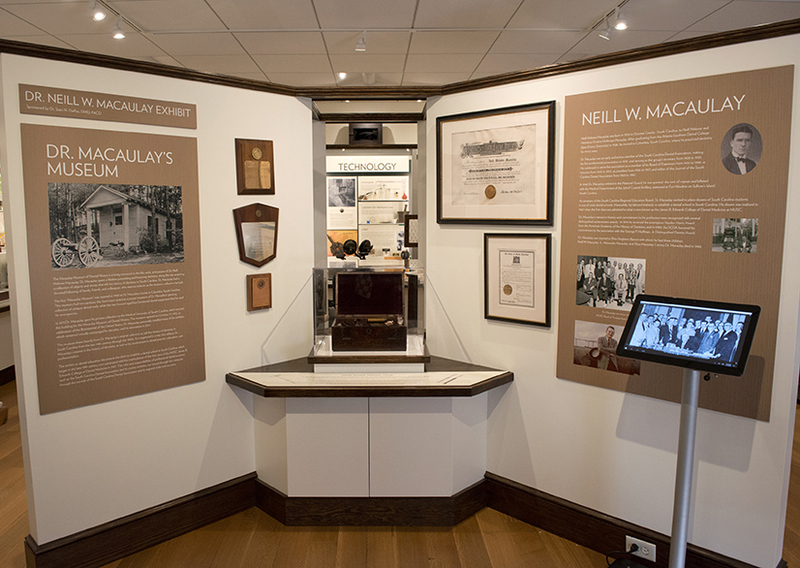 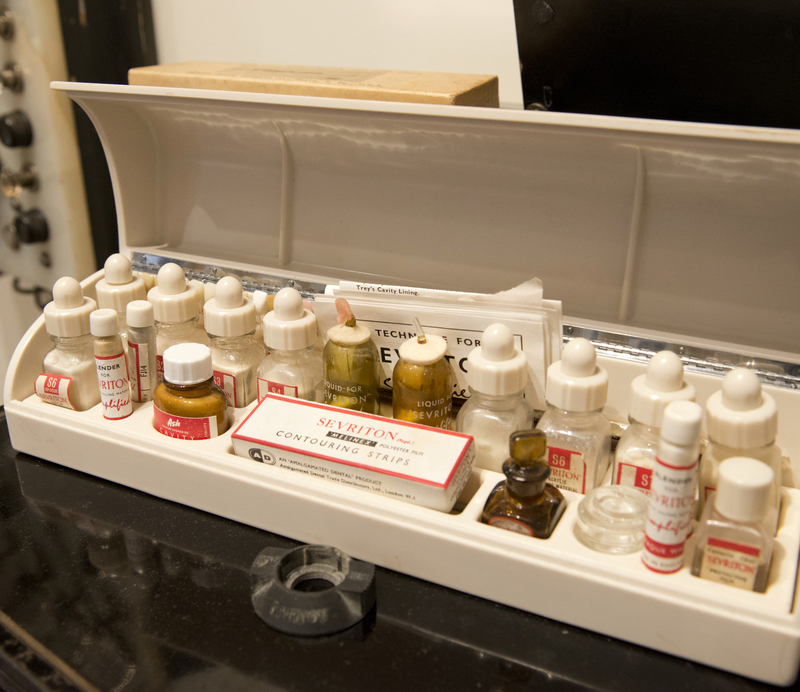 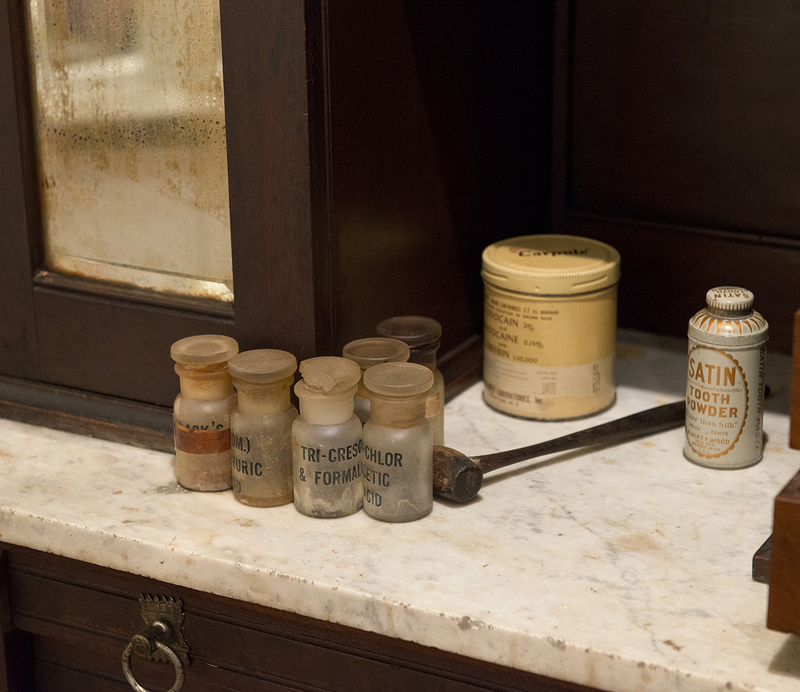 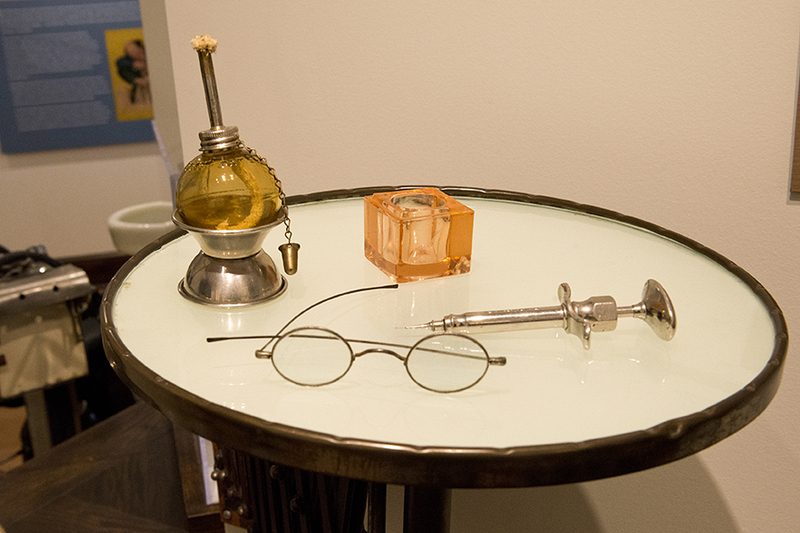 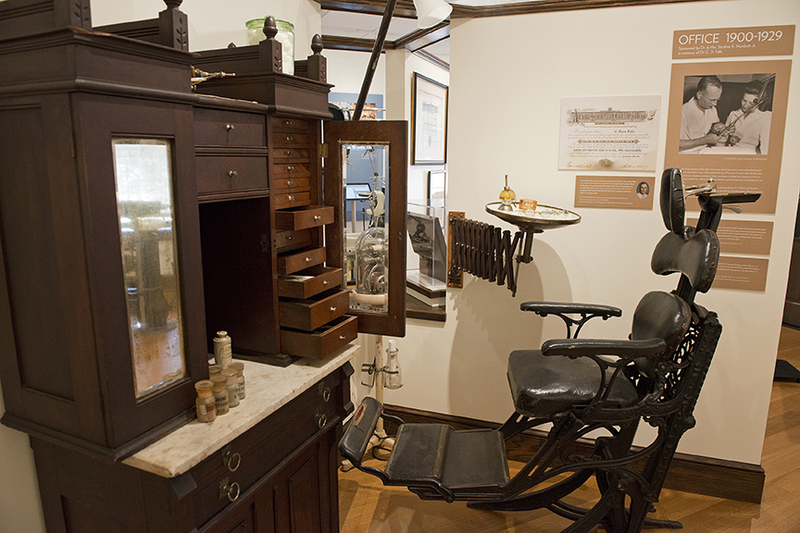 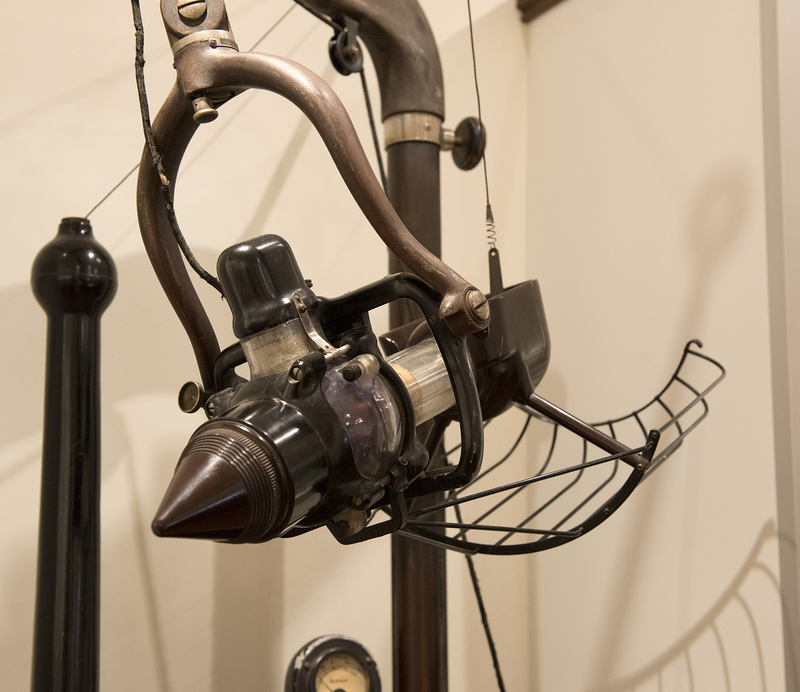 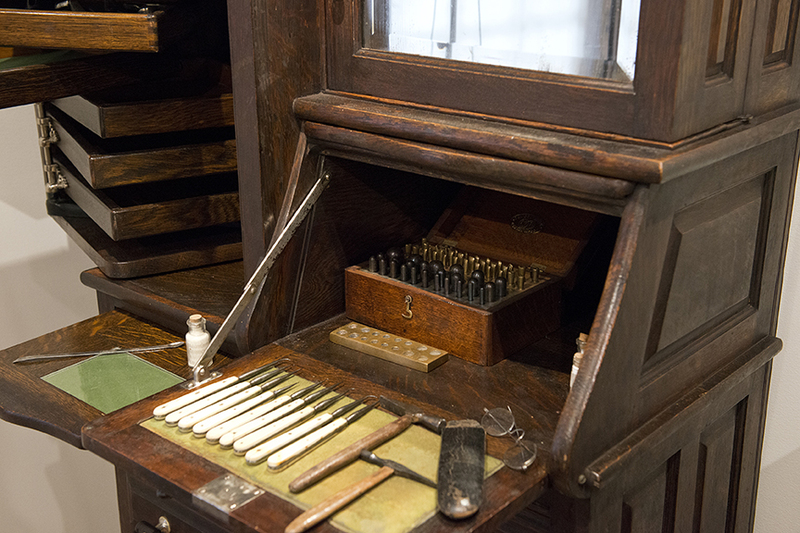 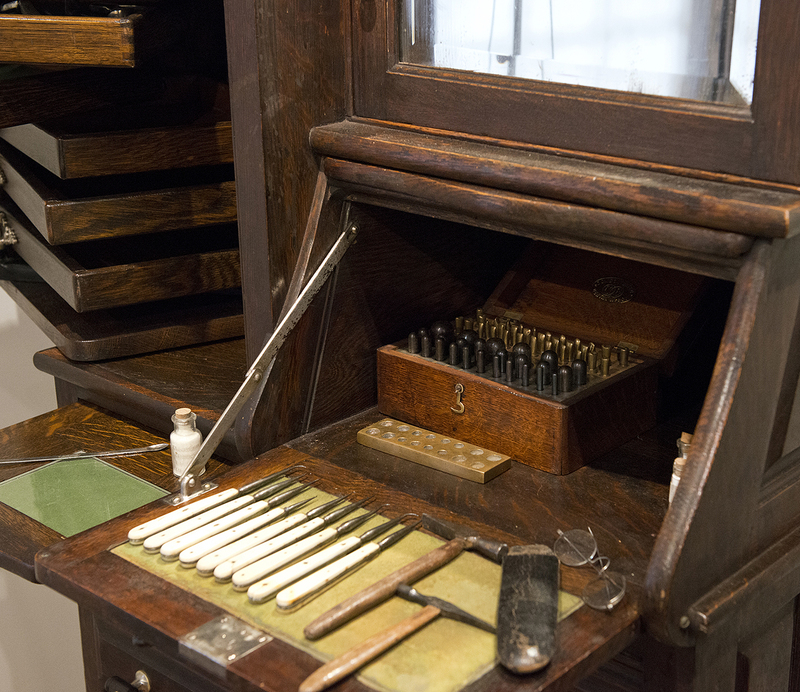 The Macaulay Museum of Dental History is open Monday through Friday from 10am to 4pm for self-guided tours. 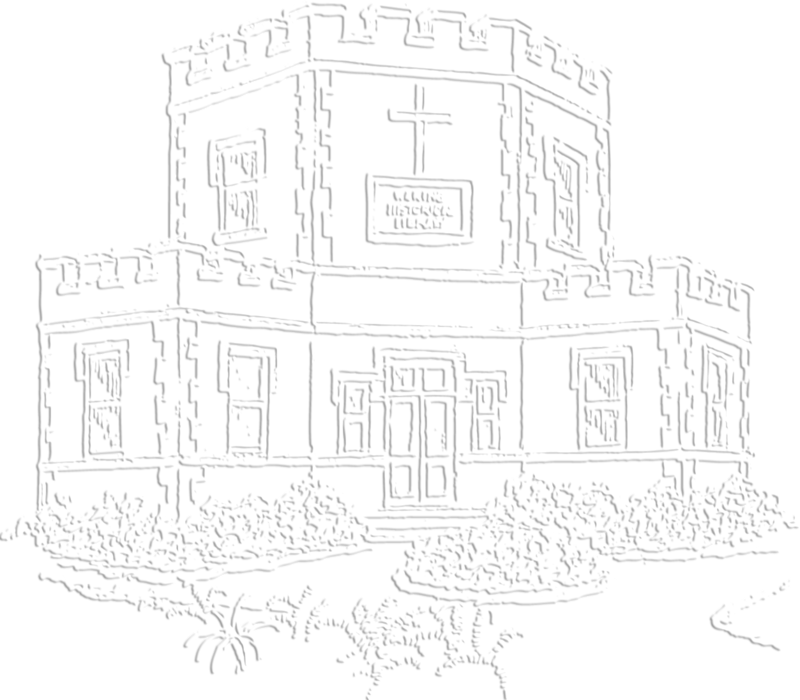 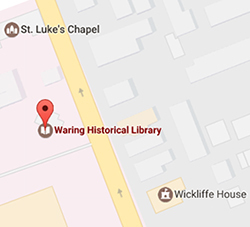 Please come to the Waring Historical Library for access to the museum. 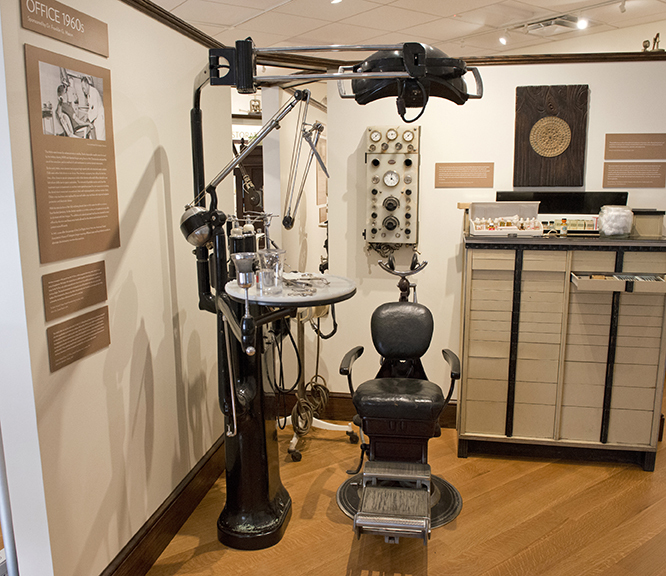 Appointments are strongly encouraged for all visitors and required for groups of 10 or more. 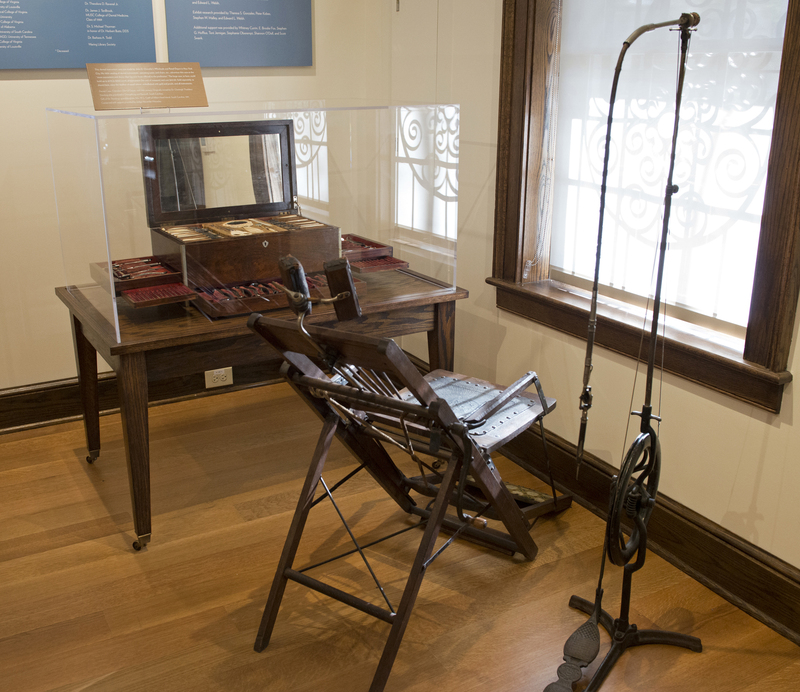 For more information please contact the museum curator, Susan Hoffius, at hoffius@musc.edu or (843) 792-2288. 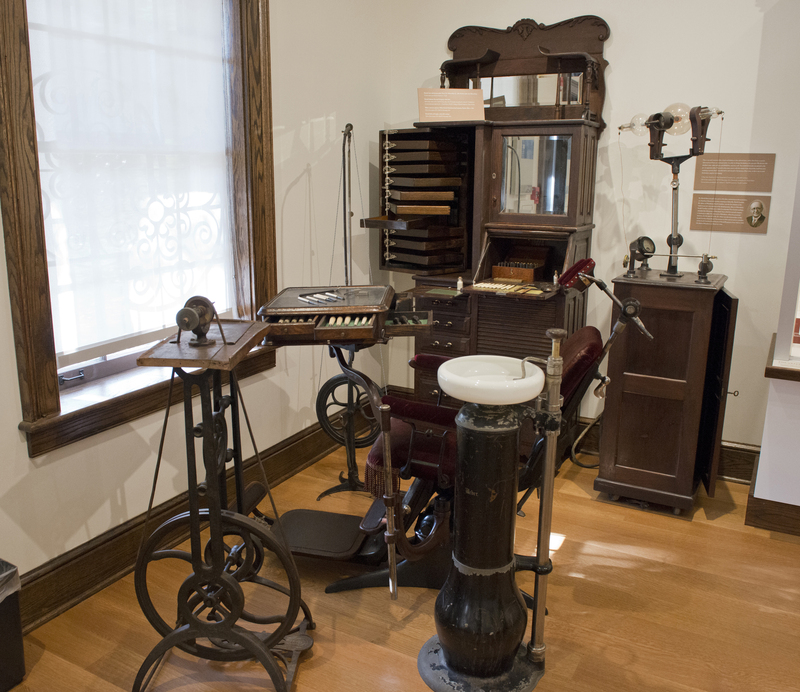 To learn how you can play a role in preserving dental history in the state of South Carolina, please call Susan Hoffius or Stephanie Oberempt, Director of MUSC Development and Alumni Affairs at (843) 792-6933. 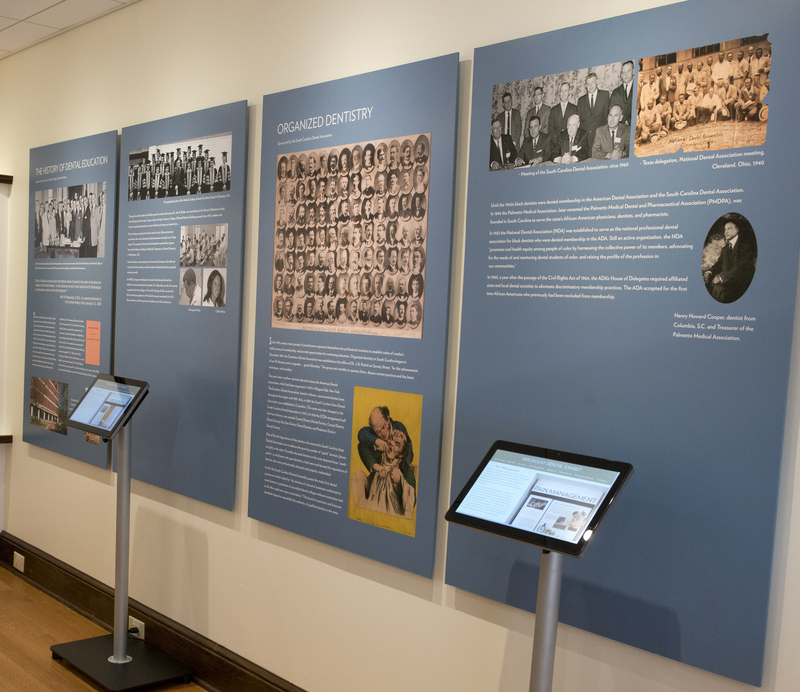 Click the thumbnails below to view full-size images. 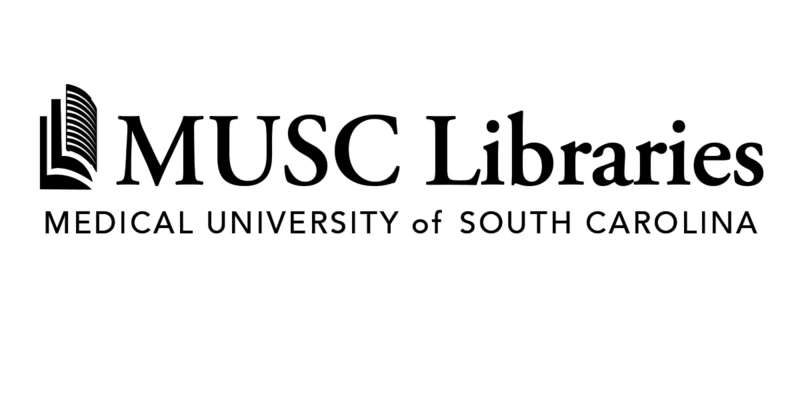 Copyright The Waring Historical Library, 2017.